Lindsey M. Soboul is an Associate in the New Orleans office of Galloway Johnson. Her practice focuses primarily on insurance coverage, property damage, premises liability, construction defect, complex litigation, contractual liability and personal injury defense. 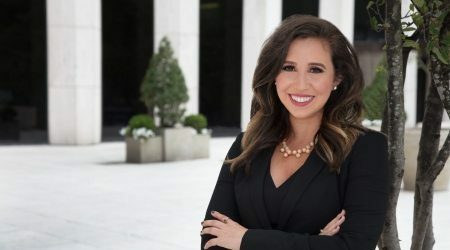 She is admitted to practice law in all Louisiana state courts as well as the United States District Courts for the Eastern and Middle District of Louisiana. Lindsey is a member of the Louisiana State Bar Association and New Orleans Bar Association. Lindsey earned her Bachelor of Science degree from Mississippi State University and her Juris Doctorate from Loyola University College of Law. While at Loyola, Lindsey was an active member of the Student Bar Association and was the recipient of the Loyola Student Bar Association Scholarship. She also served as a student practitioner at Loyola’s Stuart H. Smith Law Clinic where she received a scholarship award from the Association for Women Attorneys in New Orleans for outstanding clinic work. Also while at Loyola, she was selected as a Trial Advocacy National Team Member. Loyola University College of Law, J.D.